In the summer of 1944 the Ringling Brothers and Barnum & Bailey Circus set up its show in Hartford’s North End. 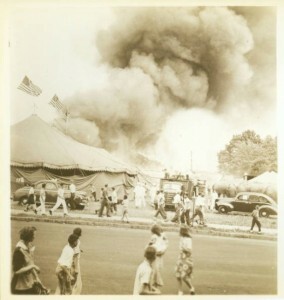 On July 6, during an afternoon performance attended by almost 7,000 people, a fire broke out and spread through the Big Top. Called the worst disaster in Hartford’s history, the fire killed 168 and injured 487, including many children. 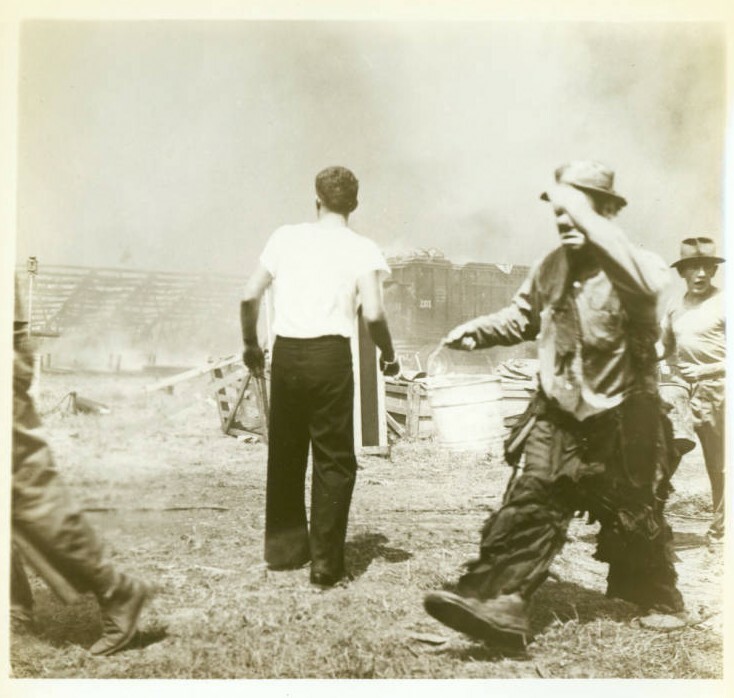 The fire began as a small flame and quickly spread to the canvas Big Top, which had been waterproofed with gasoline and paraffin, substances that made the Big Top vulnerable to fire. While many who died were burned to death, many others died as a result of the panic that spread throughout the big tent and were trampled. Several circus officials were charged with involuntary manslaughter, but the circus reached an agreement with Hartford officials and accepted full financial responsibility. They did not, however, accept responsibility for the fire and five men were charged and brought to trial; four were convicted. Shortly after, all were pardoned. The best-known victim of the tragedy was known as “Little Miss 1565.” Found after the fire, her body was never claimed although various individuals have tried to claim her over the years. She was buried without a name in Hartford’s Northwood Cemetery but was exhumed and reburied in the early ’90s in Southampton, Massachusetts, after being identified as Eleanor Emily Cook. The identification of Little Miss 1565 is still debated. On July 6, 2005, a memorial to the victims was dedicated at the spot where the fire occurred.